Over the past several years, the country has weathered unusually severe flu seasons, and people have struggled to stay healthy. In fact, last year saw numerous cases of a new flu strain, H3N2, which defied people's efforts to protect themselves with flu vaccines, according to the American Council on Science and Health . If you've contracted the disease in the past, you might feel powerless (especially if you have faithfully gotten your flu-season shots and still contracted the illness). However, doctors are encouraging everyone to use more measures to protect themselves to stay healthy this year, which does include not skipping their annual flu shot. It's not your imagination. The 2017-2018 flu season was particularly bad, according to the Centers for Disease Control and Prevention . It had "high levels of outpatient clinic and emergency department visits for influenza-like illness (ILI), high influenza-related hospitalization rates, and elevated and geographically widespread influenza activity for an extended period." The season also resulted in many deaths, especially in vulnerable populations. "Last year we saw high mortality from influenza and more than 80,000 Americans died with 90 percent of those deaths in older adults over the age of 65," said Anar Patel, MD , an infectious disease specialist at TriHealth . As a result, doctors continue to encourage people to take preventive measures such as having yearly checkups, getting enough sleep and eating plenty of fresh fruits and vegetables to keep their immune systems strong. "The best preventive measures people can take to avoid getting the flu include getting the flu shot, washing your hands frequently, covering your nose and mouth when you sneeze, and staying at home when you are ill," counsels Patel. 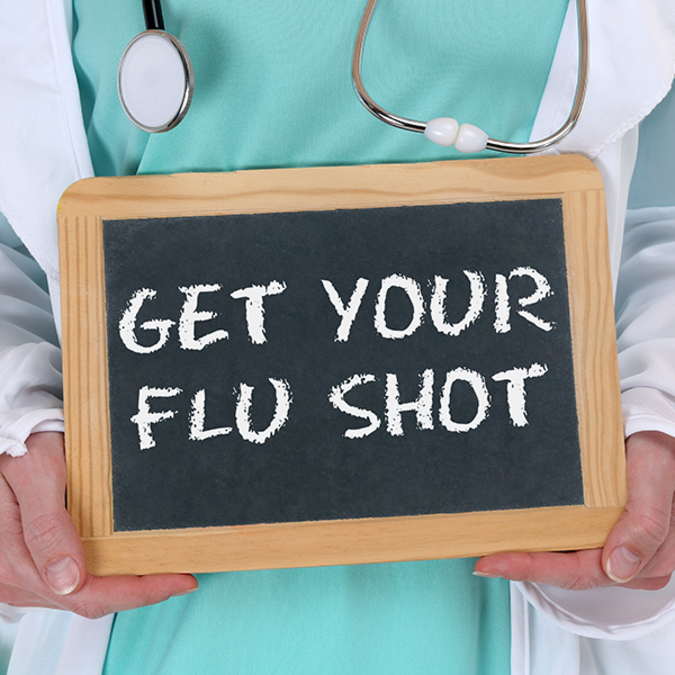 Even if you contracted the flu the same year you got a flu vaccine, that doesn't mean you should forgo shots altogether. "The annual seasonal flu vaccine is the best way to help protect against the flu, but people can still get the flu despite vaccination," said Patel. "This may happen due to a couple reasons: you were exposed to the virus shortly before you got the vaccine and your body did not have time to build immunity or you were exposed to a strain of virus that was not included in the yearly shot." Because there are so many strains of the flu, doctors and medical researchers update vaccine formulations each year and tailor them to different individuals and particularly dangerous strains, Influenza Virus Net says. People of all ages can benefit from one of a couple of types of flu shots, so make sure to protect the most vulnerable people in your life, such as small children and the elderly by helping them get their shot. "Even though the flu vaccine is less than 100 percent effective, it can help prevent the worst outcomes like hospitalization and death," said Dr. Patel. "It not only helps protect you from the flu, but also those around you who may be at higher risk, including babies, older adults, people with chronic illnesses like diabetes, and pregnant women." If you want to enjoy the holiday season and stay flu-free, visit your doctor for preventive checkups and to get your annual flu shot. Or, you can get a flu shot without an appointment at a TriHealth Priority Care location where you can check in online to save your place in line. Dedicated providers like Patel, who says she loves helping people and meeting the challenges she encounters every day, can also give you suggestions that will reduce the chance you will contract a flu strain.